Although the American New Year has long passed, the Chinese New Year has yet to come. However, expect our neighbors from across the pond to start on their New Year’s resolutions as of Feb. 16! Chinese or not, there’s no reason not to join in on the New Year fun by enjoying an authentic Chinese dinner at one of South Orange’s many amazing Chinese eateries. If you’re ready for some quality chicken and cashew nuts, orange chicken and other favorite dishes, then read on below! Number One Chinese Restaurant, located at 319 S Orange Ave #1, South Orange which is a 15 minute walk from your Third and Valley apartment, serves Cantonese, Sichuan and Hunan classics at this time-tested counter-serve Chinese joint. Number One Chinese Restaurant has been proudly serving the South Orange and surrounding areas for over 25 years. Come enjoy the delicious, fresh, healthy and nutritious Chinese appetizers, soup, chow mein, lo mein, mei fun, chicken, beef and seafood. All of their foods are homemade using only the highest quality and freshest ingredients available. Tung Tin Chinese Restaurant, located at 315 Irvington Ave, South Orange which is a 15 minute walk from your Third and Valley apartment, serves lo mein, fried rice and other familiar Chinese fare fixed up in small, laid-back quarters. Try their delicious food and service this Chinese New Year. 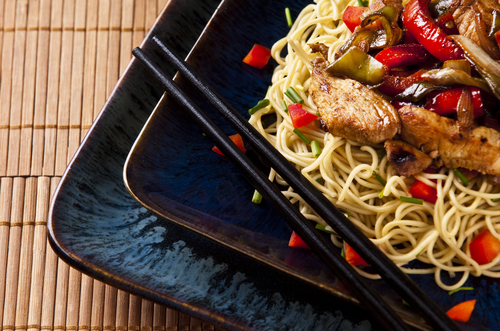 Come in for a Chinese lunch special or during the evening for a delicious Chinese style dinner with favorites such as kung po chicken, sweet and sour pork, pineapple chicken, boneless ribs and more.